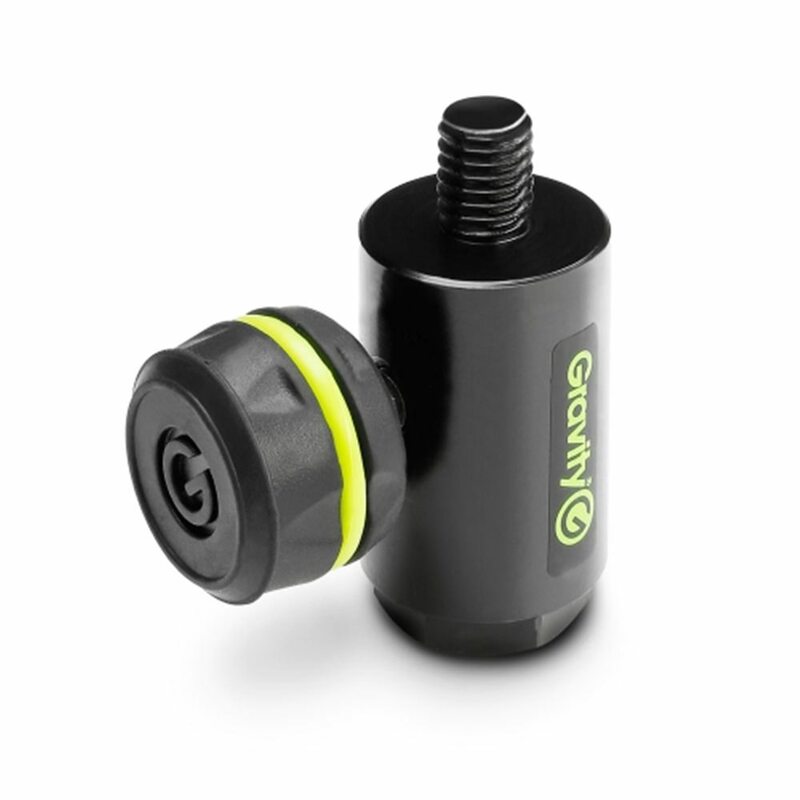 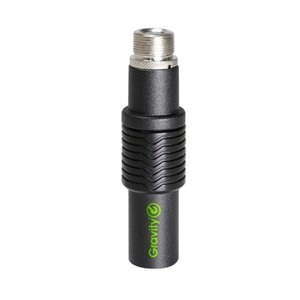 Made of powder-coated steel, this ingenious adapter facilitates quick and convenient boom swiveling without operating the mic stand clutch. 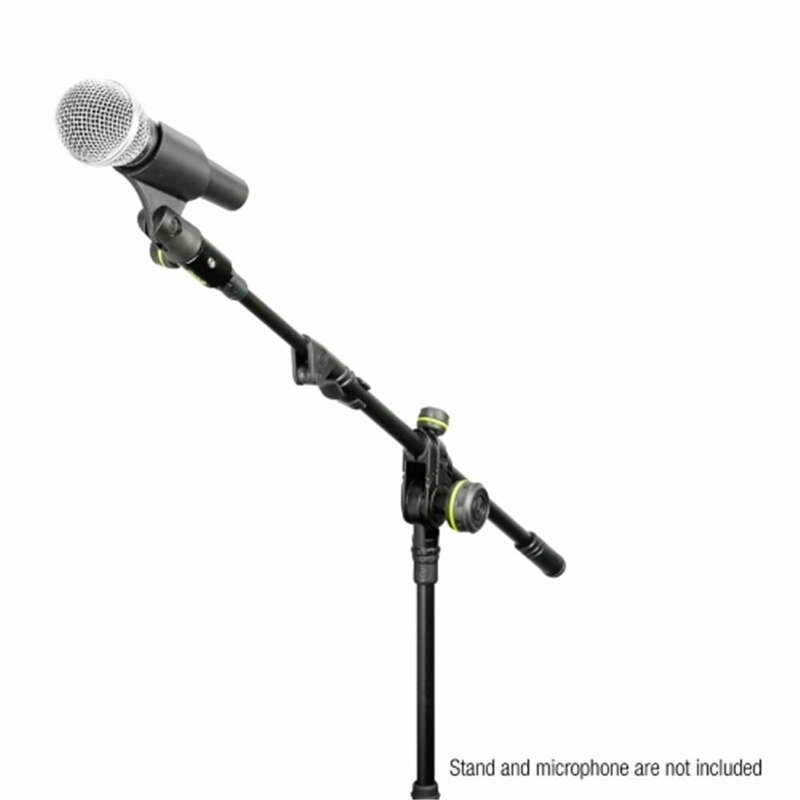 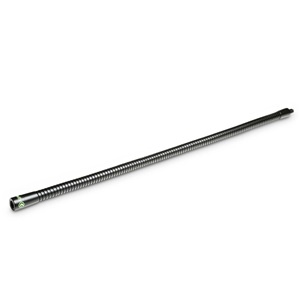 It features a 3/8" female thread for mic stand attachment and a 3/8" male thread to mount the boom. 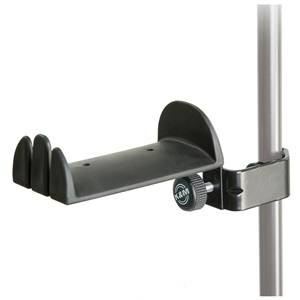 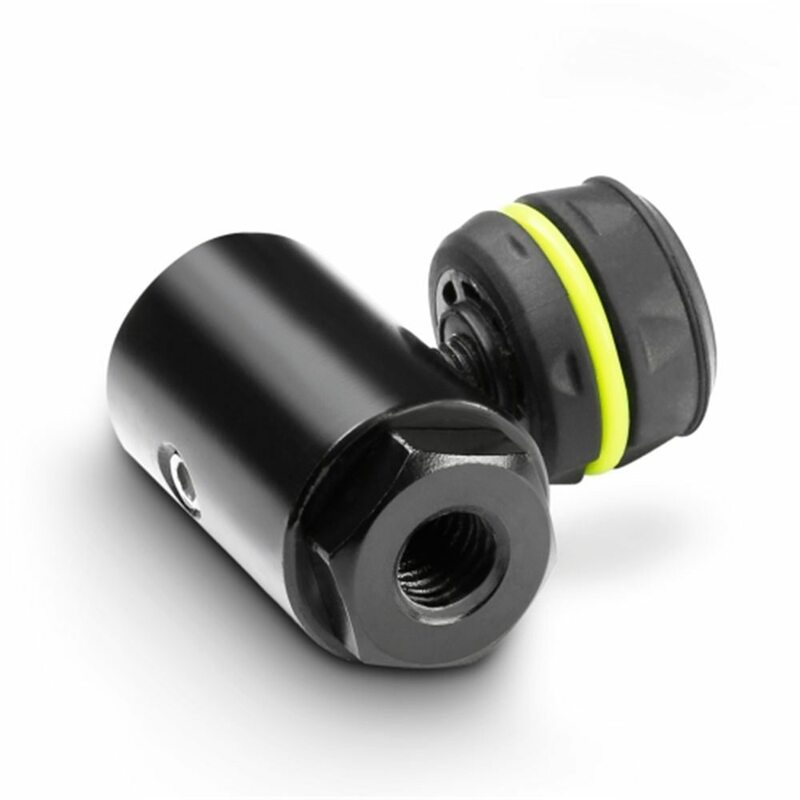 The adapter and boom assembly can now be easily rotated and locked into position with a set screw sporting a pleasant feeling double injection molded knob. 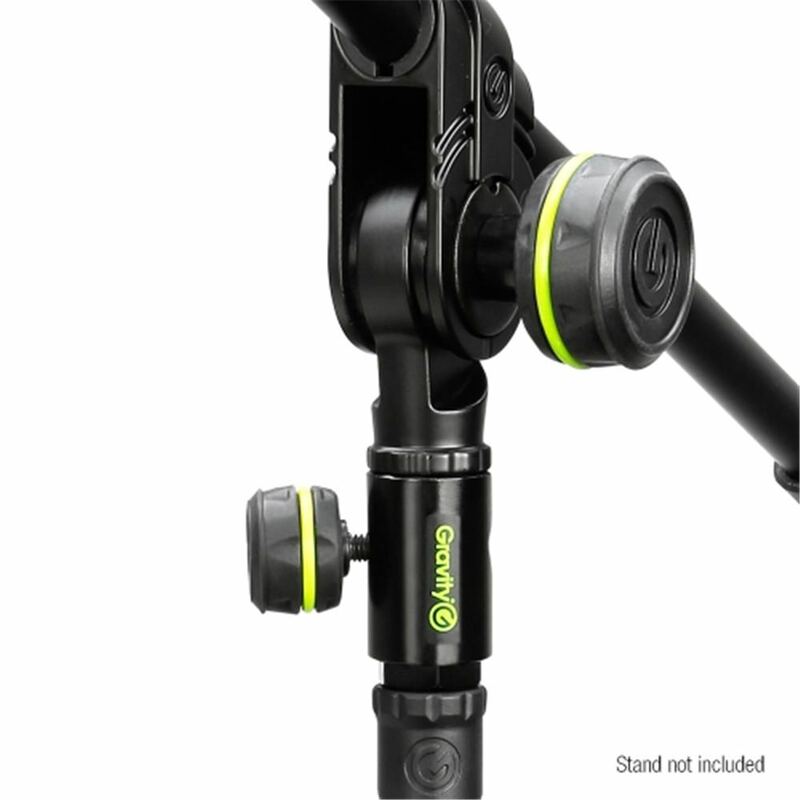 In addition, it doubles as a quick swivel mic clip adapter.